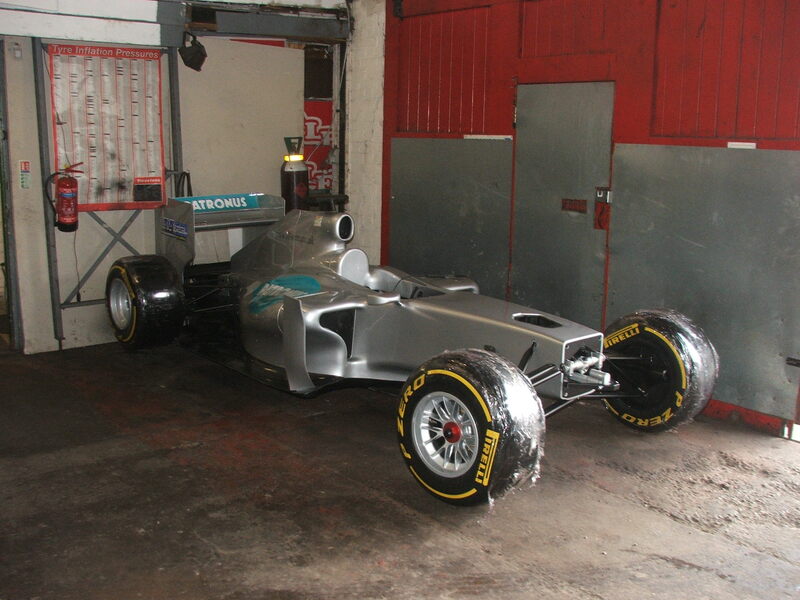 Michael Schumacher dropped by with his F1 car recently so we could give it a service and do the tracking. We Wish! This is our F1 simulator and show car which is normally out and about at shows. the transporter had to go for repairs so the car lived in the corner of the garage for a few days. It just looks so cool we had to put a picture of it on the blog. This entry was posted on Tuesday, August 14th, 2012 at 1:26 pm	and is filed under AA Sport, Garage Services, News, Race news. You can follow any responses to this entry through the RSS 2.0 feed. Both comments and pings are currently closed.